EduManage is the flag-ship product of Locus. This product has various versions to serve various clients. LibManage is a complete Library Management module capable to manage all the functionalities of library and dissemination of information to Management, staff and student with Admin control designed for libraries of (any size) colleges, schools, universities, charitable trust and other academic Institutions. GL ,SL , I&E and Schedule etc., are extensively covered in Accounts module. 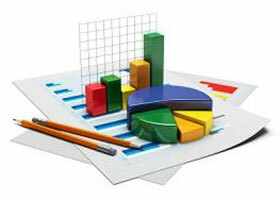 Income and expenditure of an institution can be recorded. Various reports can be viewed on daily, weekly and monthly basis. Exam fees and tuition fees from the students can be accepted using the interface provided. Locus Technologies Introduces - a cost-effective solution for Making ID cards for your staff/student for any organization. Document Storage System (DSS) is a software that is built to maintain all the documents and files that are used in an organization. Locus Technologies Introduces Office Navigator - a cost-effective solution for implementing Corporate Intranet for any organization. eShubYatra™ V 1.0, an Online Tourism product that helps travel agents and hoteliers build a portal. eShubYatra can be used to build tourism portal for a particular locality or for a group of hotels and travel agents. Locus Technologies has developed courier management software called Herald Manager. Locus Technologies has conducted an extensive study on the Courier Industry and has incorporated all the necessary functionalities of a typical courier company. is a software company of international repute. The company was established in the year 1999 by a group of young, energetic and experienced IT savvy professionals.